Renowned Danish architect Poul Henningsen is believed to have once owned this house in Copenhagen, which local studio Norm Architects refurbished by opening up the interior to create bright rooms containing dark and tactile bespoke furniture. 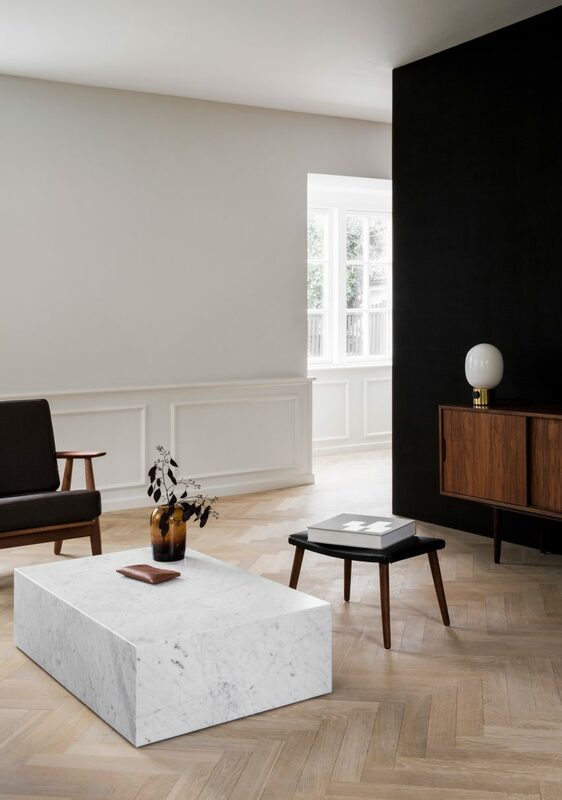 The historic villa in the Danish capital was seriously damaged by a fire in 2014, so its new owner asked Norm Architects to oversee its restoration and modernisation. The architects set out to create a comfortable home for a family of three that references aspects of the original interior, including its panelled walls, parquet flooring, and low paned windows. Stories that the property was previously the residence of architect, designer and critic Poul Henningsen informed some of the details incorporated into the interior design, including the use of his iconic lighting products. 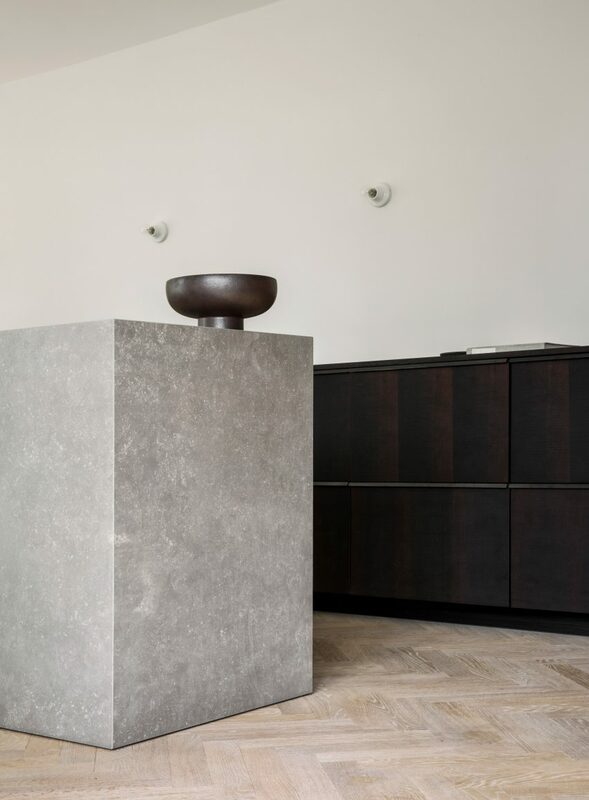 “With a clean and minimal approach, the classic elements of the house have been restored and elegantly combined with contemporary details, making for timeless interiors and generally warm aesthetics,” explained Norm Architects. The ground floor, in particular, was reorganised to transform it from a group of small rooms into an open space lined with windows that allow daylight to flood in. The space is subdivided using monolithic freestanding units built from darkened oak, including one that separates the kitchen and living room. The dark kitchen cabinets are complemented by bronzed-brass handles, while a central island wrapped in slabs of light-grey ceramic stone brings another texture to the space. A central staircase featuring open treads made from solid oak extends all the way through the building, from the basement to the upper storey. Skylights at the top of the stairwell allow natural light to filter down to the lower levels. Brass taps in the kitchen and bathrooms introduce a warm and tactile element to the otherwise monochrome interior palette. Norm Architects previously applied a similarly pared-back approach to the interior of a house in Norway that it described as the “epitome of hygge”. The studio has also designed an interior with a Scandinavian feel for a Mediterranean restaurant in Copenhagen, and a showroom for furniture brand Menu that doubles as a co-working space.